Lady Champagne & the Motor City Blues Crew will be the featured performers at 6:30 p.m. Wednesday, Nov. 20, at the Jazz and Blues series at the Southfield Public Library, 26300 Evergreen Road. 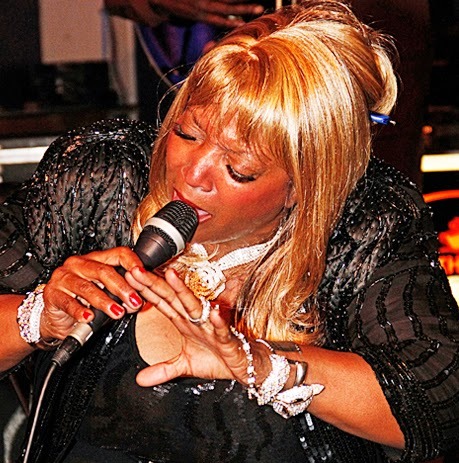 Louisiana native Lady Champagne is an exciting and high energy entertainer with a powerful and dynamic voice that captures the audience’s attention every time she sings. The Motor City Blues Crew is an outstanding six-piece ensemble, including guitarist Larry Turner, T. Pablo on harmonica, bassist Paul Stewart, Willie Willie on keyboards, Richard Adams on saxophone, and drummer Lorell Holton. General admission is $5, $3 for Friends of the Southfield Public Library members. There is no admission charge for children under 12. Luther “Badman” Keith and his band will host the Detroit Blues Society's Meeting and Jam on Saturday, Nov. 9, at Harbor House in Detroit. Badman, a former editorial writer for the Detroit News who is now the executive director of Arise Detroit!, discovered his “blues muse” while watching Luther Allison perform in the 1980s. The experience propelled Badman into a musical career. He and his band will perform a set and then give way to a talented group of jammers. There’s no cover charge. To see a previous post on Badman, click here. Can’t make it to Saturday’s jam? Singer-guitarist Jimmy Alter will host an open jam at Cooley Lake Inn in Commerce Township on Sunday, Nov. 10. The Skybox Sports Grill in Highland hosts the Michigan's Guitar Legends Series & Open Jam. This month’s featured guests include Rich Hwang (Nov. 7), Greg Nagy (Nov. 14), and Mark “Pazman” Pasman (Nov. 21). Blues lovers should be sure to check out Pazman’s “Motor City Blues Project” radio show from 9 p.m.-midnight each Sunday on WCSX (94.7-FM). The Skybox series continues with standout performers Matt Besey (Dec. 5), Robert “Psychild” Noll (Dec. 12), Bobby Murray (Dec. 19), Howard Glazer (Jan. 9), Christopher Leigh (Jan. 16), Carl Henry (Jan. 23) and Sweet Willie Tea (Jan 30). That is an impressive list of guitar slingers. As the Attic Dwellers Acoustic Music Club celebrates its 10th anniversary, club coordinator Wolfgang Spider hands the reins over to Christian Douglas, who will take over the task of organizing and running the monthly jam sessions as well as confirming the location. The Attic Dwellers will meet for an acoustic circle jam from 1-5 p.m. Sunday, Nov. 10, at Paycheck’s in Hamtramck. Beginners as well as seasoned musicians will enjoy themselves and there are no dues. All types of acoustic music are welcome, as are those who just want to sit back and listen. LL Blues — singer-guitarist Larry Stevens and harmonica player Larry Everhart – will perform Friday, Nov. 8, at the Live! From the Living Room Acoustic Showcase in the atrium of the Oakland Arts Building in Pontiac. They will be joined by country music singer-songwriters Butch Runyon and Garry Valentine. Admission is only $5. 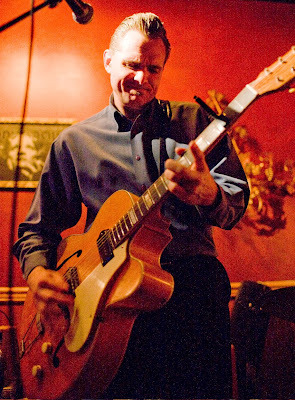 Blues and jazz guitarist Steve Nardella will perform on Tuesday, Nov. 12, as part of the Blues at the Elks Series at the Plymouth Elks Lodge in Plymouth. The show runs from 7-10 p.m. and admission is only $5 at the door. 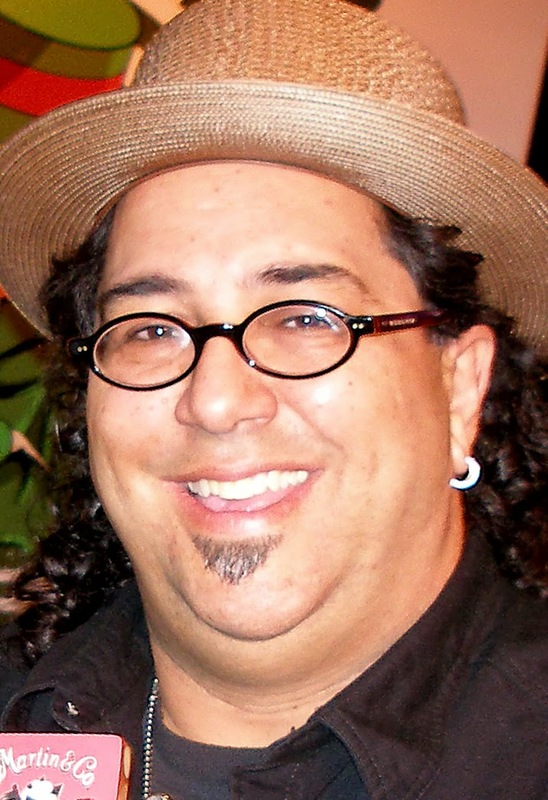 Nardella, an Ann Arbor resident, is a transplant from Providence, Rhode Island, and is a widely regarded American blues, rock ‘n’ roll, blues-rock and rockabilly guitarist and singer. "We are looking for another capacity crowd on Nov. 12," said event organizer RJ Spangler. "Nardella certainly has all the chops to make this event truly a concert to remember." Big Foot Bob and the Toe Tappers, who perform a wide variety of classic R&B, jump and swing blues, are next up in the series on Dec. 10. Congratulations to Carl Henry and Tony Berci and the Dirty Basement Blues Band for winning the solo/duo and band competitions, respectively, at the finals of the Detroit Blues Society Blues Challenge at Callahan’s Music Hall in Auburn Hills. They will represent Detroit at the 30th annual International Blues Challenge in Memphis in January. Two musicians with Detroit area roots were honored at the 2013 Blues Blast Music Award ceremony held at Buddy Guys’ Legends in Chicago on Oct. 31. Singer Shaun Murphy earned top honors for Contemporary Blues Album for her recording “Ask For the Moon” and also won the award for Best Female Blues Artist, topping a field that included Michigan native Janiva Magness, who won three Blues Blast awards last year. 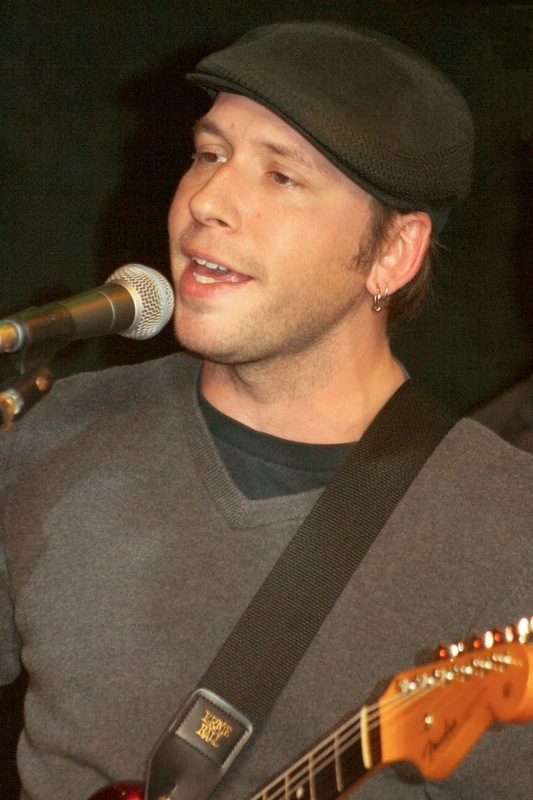 Singer/songwriter/guitarist Doug Deming won the Sean Costello Rising Star Award. Deming may be a “rising star,” but we’ve known about him in Detroit for two decades. He has worked with many top blues artists, including Kim Wilson, Lazy Lester, Gary Primich, Johnny “Yard Dog” Jones, A.C. Reed, and Detroit “Queen of the Blues,” Alberta Adams. 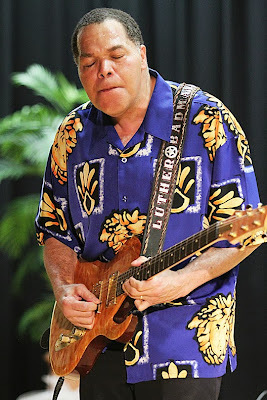 Other winners at the Blues Blast Music Awards included: The Cash Box Kings, who won Traditional Blues Album for “Black Toppin’”; Albert Castiglia, who had the top Blues Rock Album with “Living The Dream”; Curtis Salgado, whose “Soul Shot” was top Soul Blues Album; Easy Livin’ , who received the New Artist Debut Release award for “Southern Hospitality”; Doug Macleod, who was named Male Blues Artist; and the Tedeschi Trucks Band, which was named Blues Band of the Year. Song Of The Year honors went to Cee Cee James’ “I Got a Right to Sing the Blues,” written by James and Rob “Slideboy” Andrews.